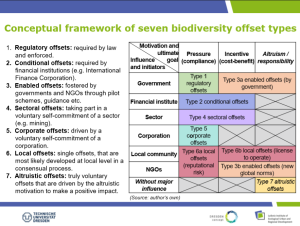 ← SHORT INFO: Biodiversity Net Gain is the next big thing, so what’s the business case? 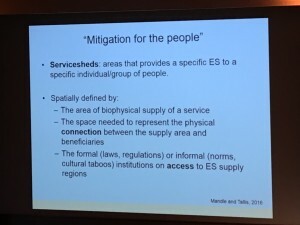 As I had promised ear­lier, I am shar­ing with you some impres­sions and pre­sen­ta­tions from our bio­di­ver­sity off­sets ses­sion at the recent Eco­Sum­mit in Mont­pel­lier. After the gen­eral ses­sion descrip­tion and line-up of speak­ers, find below the abstract and pre­sen­ta­tion for each of the speak­ers (includ­ing a few photographs). With bio­di­ver­sity being lost at unprece­dented rate, there is grow­ing con­cern on how to mit­i­gate the unavoid­able impacts of devel­op­ment projects. 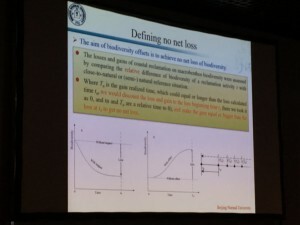 Along­side with the pro­mo­tion of goals of ‘no net loss’ or ‘net gain’, bio­di­ver­sity off­sets are increas­ingly used to coun­ter­bal­ance these impacts. While off­set frame­works have been put in place in sev­eral coun­tries world­wide (e.g. Ger­many, the US, Aus­tralia, Canada, Brazil), the sub­ject has risen onto the polit­i­cal agenda of the Euro­pean Union in the past years, most notably via the pro­posed No Net Loss Ini­tia­tive, but also in sev­eral mem­ber states (e.g. France, Spain, the UK and Swe­den). This ses­sion aims to bring together the lat­est devel­op­ments from sci­ence, pol­icy and prac­tice from EU mem­ber states and inter­na­tional expe­ri­ence in address­ing the global chal­lenges raised by bio­di­ver­sity off­set poli­cies and their imple­men­ta­tion, includ­ing social, eco­nomic and polit­i­cal aspects as well as tech­ni­cal and sci­en­tific aspects. Urban area impacts on the bio­di­ver­sity: How to take into account the local/in-situ and the ex-situ impacts? 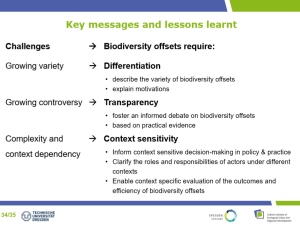 When devel­op­ment projects gen­er­ate impacts on bio­di­ver­sity that could not be suf­fi­ciently avoided or reduced, off­sets must be designed and imple­mented to effec­tively and fully com­pen­sate for the resid­ual loss of bio­di­ver­sity. Inter­na­tional best prac­tice indi­cates that bio­di­ver­sity off­sets must achieve no net loss (NNL) of bio­di­ver­sity, or prefer­ably a net gain (NG). In 2012, the French gov­ern­ment pub­lished guid­ance on imple­ment­ing the mit­i­ga­tion hier­ar­chy, with NNL as an implicit goal. 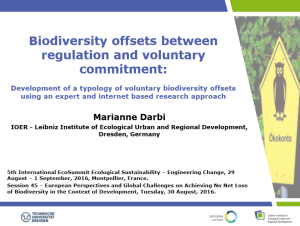 The French NNL pol­icy was estab­lished through an inte­gra­tive approach to var­i­ous the­matic reg­u­la­tions cov­er­ing pro­tected species and cer­tain types of habi­tats such as wet­lands, forests, and veg­e­ta­tion types listed in the EU Habi­tats Direc­tive. 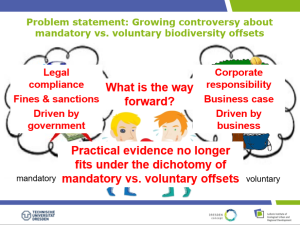 Changes to the pro­ce­dures for obtain­ing dero­ga­tions to the pro­tec­tion of cer­tain species (in 2007) and to the EIA process (in 2012) offered a pro­duc­tive con­text in which to develop the policy. There are con­sid­er­able tech­ni­cal and orga­ni­za­tional chal­lenges to design­ing and imple­ment­ing bio­di­ver­sity off­sets. 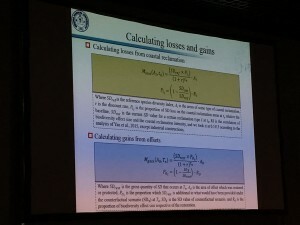 Losses and gains must be assessed and com­pared, to demon­strate NNL, in-kind and on the basis of tar­geted loss-gain met­rics impacted for species, habi­tats, etc., off­set fea­si­bil­ity must be assessed, to ensure they can land and exper­tise can be accessed for the imple­men­ta­tion and long-term man­age­ment. To address this chal­lenge, a ded­i­cated method­ol­ogy was devel­oped and applied to a new rail­way project in South­ern France. Losses and gains were mea­sured in “off­set units”, cal­cu­lated as quality-hectares per species, and then inte­grated into a com­mon frame­work to deter­mine the amounts of each multi-species habi­tat that had to be restored (and how) to achieve NNL. The method was suc­cess­fully applied thanks to a con­tin­u­ous engage­ment with stake­hold­ers, and was shown to enable a rig­or­ous, trans­par­ent and par­tic­i­pa­tory treat­ment of bio­di­ver­sity impacts from development. Design­ing and siz­ing off­sets is only a first step, and actual imple­men­ta­tion often remains an impor­tant hur­dle. A num­ber of projects in France have had to address this chal­lenge. In the exam­ple above, con­tracts with farm­ers enables the devel­oper to enhance the bio­di­ver­sity value of farm­land to meet the NNL goal. In prac­tice, such approaches are akin to Pay­ments for Ecosys­tem Ser­vices, and raise sim­i­lar chal­lenges for their long-term suc­cess. Oper­a­tions sim­i­lar to “habitat-banking” have been devel­oped, under the impe­tus of a national pilot pro­gram, whereby off­set sites are iden­ti­fied and man­aged by pri­vate or pub­lic enti­ties, or through private-public part­ner­ships. We analyse these against an inter­na­tional bench­mark, to iden­tify some of the remain­ing gaps in the insti­tu­tional frame­work which needs to be estab­lished for the NNL goal to be achiev­able. A draft law on bio­di­ver­sity cur­rently being dis­cussed in the French Par­lia­ment makes this analy­sis par­tic­u­larly policy-relevant. Bio­di­ver­sity Off­set­ting (BO) is sup­pos­edly aimed at achiev­ing No Net Loss (NNL) of bio­di­ver­sity in the con­text of devel­op­ment. Agri­cul­tural land­scapes some­times have low lev­els of bio­di­ver­sity, and the eco­log­i­cal restora­tion or enhance­ment of arable lands through BO may show eco­log­i­cal gains. How­ever, farm­ers’ imple­ment­ing BO on their arable land, against pay­ments by devel­op­ers, remains a con­tro­ver­sial topic that has been lit­tle stud­ied and dis­cussed in the sci­en­tific lit­er­a­ture. One could won­der if the imple­men­ta­tion of long term BO con­tracts, sat­is­fy­ing restric­tive con­di­tions for eco­log­i­cal per­for­mance, can match farm­ers’ pref­er­ences and con­straints. Our study aims at pro­vid­ing key fac­tors explain­ing the deci­sion by farm­land own­ers to sign a BO con­tract, with those con­tracts sat­is­fy­ing the NNL imper­a­tive. Our works are grounded in eco­nom­ics applied to con­ser­va­tion biol­ogy. In order to cap­ture the farm­ers’ pref­er­ences, we con­ducted a Choice Exper­i­ment (CE) study at the scale of a French agri­cul­tural region. Four attrib­utes, describ­ing dif­fer­ent sce­nar­ios of BO mea­sures, were selected: the man­age­ment plan of the actual eco­log­i­cal mea­sures for ecosys­tem enhance­ment, the length of the con­tract, the annual pay­ment, and, in an inno­v­a­tive way, a mon­e­tary bonus for addi­tional eco­log­i­cally rel­e­vant con­trac­tual terms. Pre­lim­i­nary results sug­gest a trade-off between bio­di­ver­sity con­ser­va­tion require­ments and socio-economical stakes. Among the attrib­utes hav­ing a sig­nif­i­cant effect on farm­ers’ util­ity, the ones that bet­ter explain the will­ing­ness (or reluc­tance) to sign BO con­tracts are the length of the con­tract and the annual pay­ment. Fur­ther, a spa­tial analy­sis linked to answers regard­ing addi­tional eco­log­i­cally rel­e­vant con­trac­tual terms through the mon­e­tary bonus, should also be conducted. Devel­op­ing coun­tries are home to world’s remain­ing bio­di­ver­sity and are ‘hotspots for con­ser­va­tion pri­or­i­ties’. In rapidly grow­ing coun­tries such as India, there is a con­stant tug-of-war between devel­op­ment and con­ser­va­tion. ‘Devel­op­ment or Con­ser­va­tion’, how­ever, is not nec­es­sar­ily a binary choice. Com­pen­satory bio­di­ver­sity con­ser­va­tion seeks to bal­ance the two, by mit­i­gat­ing the impacts of devel­op­ment on bio­di­ver­sity. For com­pen­satory con­ser­va­tion to be valid, it should be addi­tional to any pre-existing con­ser­va­tion com­mit­ments of the government. Stip­u­lated by India’s For­est Con­ser­va­tion Act (FCA), 1980, com­pen­satory afforesta­tion is a pre­req­ui­site for approval of devel­op­ment projects on forest­land. Thirty-five years have passed since the enforce­ment of FCA but gov­ern­ment after gov­ern­ment has failed to put in place an insti­tu­tional mech­a­nism to uti­lize the com­pen­satory afforesta­tion pay­ments col­lected from project pro­po­nents. Monies to the tune of Rs. 38,000 crore (and accrued inter­est of Rs. 6000 crore) are lying unuti­lized. The Com­pen­satory Afforesta­tion Fund (CAF) Bill, 2015 tabled by the new gov­ern­ment seeks to rec­tify this situation. The FCA, 1980 explic­itly requires com­pen­satory afforesta­tion to be addi­tional. How­ever, the new CAF Bill stip­u­lates divert­ing com­pen­satory afforesta­tion funds towards afforesta­tion com­mit­ments that the gov­ern­ment has made under the Con­ven­tion on Bio­log­i­cal Diver­sity (CBD) and the United Nations Frame­work Con­ven­tion on Cli­mate Change (UNFCCC). This amounts to ‘cost shift­ing’ because com­pen­satory afforesta­tion funds will sub­sti­tute the con­ser­va­tion fund­ing already pledged by the gov­ern­ment. The co-optation of com­pen­sa­tion funds, in effect, can­cels the mit­i­ga­tion ben­e­fits that were intended to be achieved by the ini­tial payments. The stip­u­la­tions of the pro­posed CAF bill clearly vio­late FCA’s require­ment of addi­tion­al­ity. 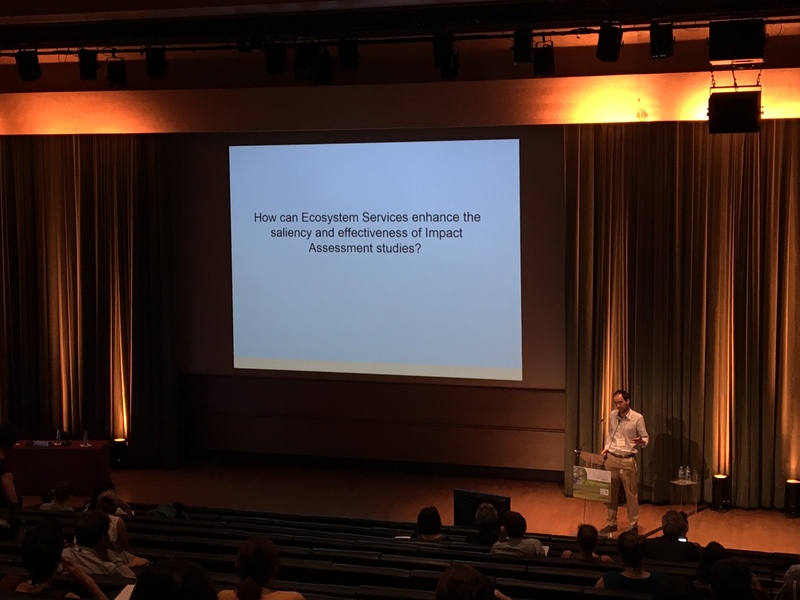 ‘Fair and plau­si­ble’ coun­ter­fac­tu­als based on inter­na­tional com­mit­ments and sep­a­rate account­ing of com­pen­satory afforesta­tion and other afforesta­tion pro­grammes will go a long way in con­vey­ing ‘gen­uine inten­tions’ of meet­ing inter­na­tional com­mit­ments as well as mit­i­gat­ing the impact of devel­op­ment on biodiversity. For a few years, the Life Cycle Assess­ment (LCA) method­ol­ogy has been the main approach used for the envi­ron­men­tal assess­ment in the con­struc­tion field. Nev­er­the­less, assess­ment of the built envi­ron­ment impacts on bio­di­ver­sity is still a dif­fi­cult issue in LCA of build­ings and urban area. Major chal­lenges are that impacts on bio­di­ver­sity need to be assessed within a spe­cific bio­geo­graphic con­text and the com­plex­ity of ecosys­tems needs to be con­sid­ered. In the same time, LCA prac­ti­tion­ers call for easy-to-use assess­ment rou­tines. The local envi­ron­men­tal impacts assess­ment of a con­struc­tion project is gen­er­ally based on the envi­ron­men­tal impact stud­ies. Nev­er­the­less, this kind of approach does not take into account the ex-situ impacts on bio­di­ver­sity caused for exam­ple by the raw mate­ri­als extrac­tion nec­es­sary for the con­struc­tion prod­ucts. 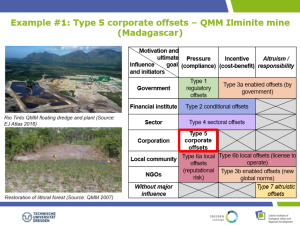 Find­ing bal­anced solu­tions that ade­quately rep­re­sent ecosys­tem com­plex­ity and that are still rel­a­tively eas­ily applic­a­ble is essen­tial to improve envi­ron­men­tal assess­ment meth­ods and tools. 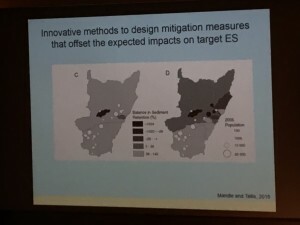 The goal of this work is to pro­pose a method aim­ing at tak­ing into account both the in-situ and ex-situ impacts of a con­struc­tion project on bio­di­ver­sity. To achieve this goal, first we iden­ti­fied the main anthro­pogenic pres­sures on bio­di­ver­sity (cli­mate change, eutroph­i­ca­tion, land use, etc.) and how the built envi­ron­ment con­tributes to these pres­sures, dur­ing all phases of its life cycle. Then, meth­ods were iden­ti­fied in the lit­er­a­ture or devel­oped in order to assess each pres­sure. A proof of con­cept tool for cal­cu­lat­ing impacts on bio­di­ver­sity was devel­oped and used for a case study that enabled the com­par­i­son of two sce­nar­ios for a con­struc­tion project. The results are pre­sented as muti­cri­te­ria graph: one indi­ca­tor for each pres­sure of the built envi­ron­ment on the bio­di­ver­sity. They also could be pre­sented as a global score after a weight­ing step (less trans­par­ent but con­sid­ered as eas­ier to use for the deci­sion process). The state of the sci­en­tific knowl­edge and the prac­ti­cal evi­dence explored through­out this study encour­age the analy­sis (and use of) of the var­i­ous forms of vol­un­tary bio­di­ver­sity off­sets, in par­tic­u­lar with regard to the eval­u­a­tion of their out­come in terms of effec­tive­ness and effi­ciency. This can help to con­tribute to an informed debate about bio­di­ver­sity off­sets and how they can be deliv­ered in practice. There were also a few pre­sen­ta­tions rel­e­vant to the field of impact mit­i­ga­tion and bio­di­ver­sity off­sets in other sessions. In response to grow­ing inter­na­tional inter­est regard­ing the con­sid­er­a­tion of ecosys­tem ser­vices (ES) in the frame­work of bio­di­ver­sity off­set­ting (BO) and the cur­rent lack of guide­lines on the sub­ject, we inves­ti­gated the poten­tial inclu­sion of ES in BO, high­light­ing the risks and oppor­tu­ni­ties. Our argu­ment is premised on the assump­tion that a prac­ti­cal link already exists between the two and that most of the tools required to make this approach oper­a­tional are avail­able. Build­ing on that, we pro­pose a log­i­cal way to inte­grate ES at each step of the imple­men­ta­tion of the mit­i­ga­tion hier­ar­chy within Envi­ron­men­tal Impact Assess­ments and pro­vide details on the links with exist­ing prac­tice. 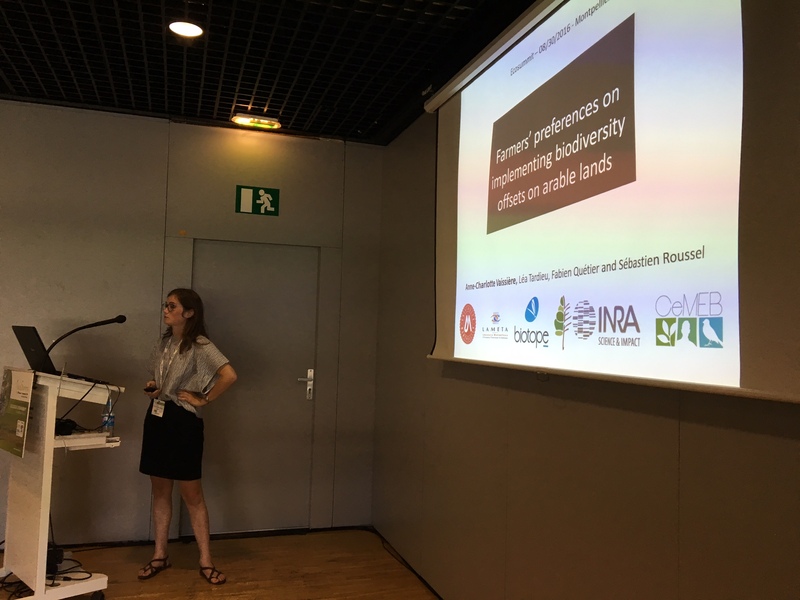 In our pro­posal, the inclu­sion of ES is pre­sented as a way to com­ple­ment cur­rent approaches based on the assess­ment of habitats/species/ecological func­tions rather than to replace them. The aim is to min­i­mize ES losses as well as bio­di­ver­sity losses at both the avoid­ance and reduc­tion steps of the mit­i­ga­tion hier­ar­chy. We argue that mea­sures pro­posed to off­set bio­di­ver­sity losses, in addi­tion to respect­ing eco­log­i­cal per­for­mance stan­dards, should equally be cho­sen to min­i­mize resid­ual losses of ES. The lat­ter require off­set­ting by dif­fer­ent types of com­ple­men­tary mea­sures, which might include nature-based, human-based or finan­cial solu­tions. Imple­ment­ing these rec­om­men­da­tions as good prac­tice should strengthen the weight of bio­di­ver­sity (as it is a key provider of ES), demon­strate con­sid­er­a­tion of social equity, and result in bet­ter accep­tance of devel­op­ment projects and the mea­sures pro­posed to off­set them. Jacob C., Vais­sière A-C., Bas A., Cal­vet C., (2016). 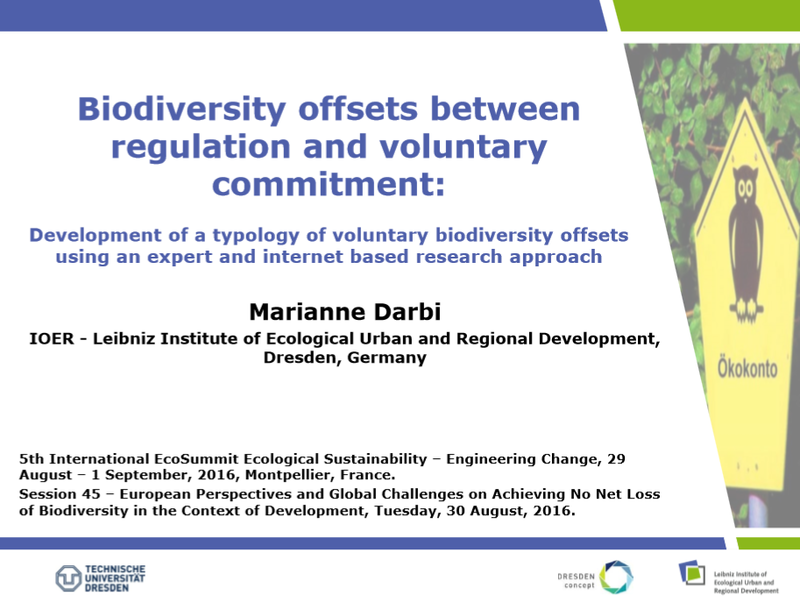 Inves­ti­gat­ing the inclu­sion of ecosys­tem ser­vices in bio­di­ver­sity off­set­ting. Ecosys­tem Ser­vices, 21, 92–102. Jacob C., Pioch S., Thorin S., (2016). 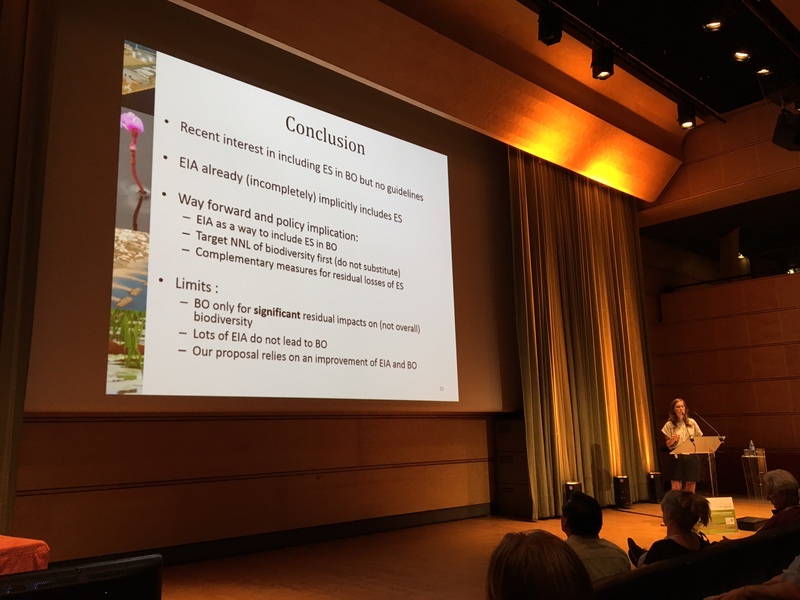 The effec­tive­ness of the mit­i­ga­tion hier­ar­chy in envi­ron­men­tal impact stud­ies on marine ecosys­tems: A case study in France.Envi­ron­men­tal Impact Assess­ment Review, 60, 83–98. Bas A., Jacob C., Hay J., Pioch S., Thorin S., (2016). Improv­ing marine bio­di­ver­sity off­set­ting: A pro­posed method­ol­ogy for bet­ter assess­ing losses and gains.Jour­nal of envi­ron­men­tal man­age­ment, 175, 46–59. With the increas­ing recla­ma­tion activ­i­ties, it has resulted in a great loss of coastal wet­lands. Harm native species by alter­ing attrib­utes of bio­di­ver­sity and coastal habi­tats. Bio­di­ver­sity off­sets have been widely used in com­pen­sat­ing the impacts with equiv­a­lent gains else­where. How­ever, choos­ing met­rics for mea­sur­ing eco­log­i­cal equiv­a­lency in losses and gains have been a big the­o­ret­i­cal prob­lem. The focus has been mainly on a sin­gle aspect of bio­di­ver­sity, such as threat­ened species pop­u­la­tions or habi­tats, which can’t rep­re­sent bio­di­ver­sity value and key ecosys­tem func­tions equiv­a­lence. 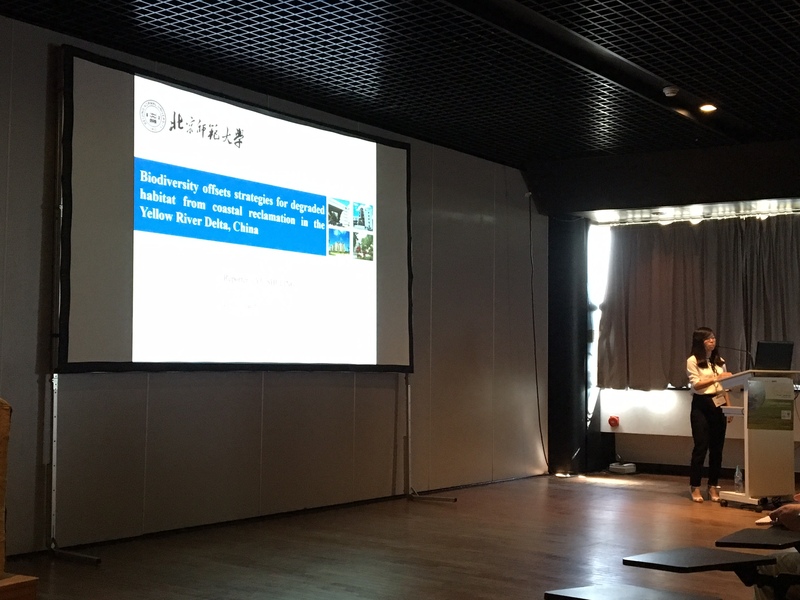 Here we pro­pose the use of species diver­sity index as an opti­miz­ing met­ric to mea­sure the equiv­a­lency between coastal recla­ma­tion losses on bio­di­ver­sity value and the gains else­where. 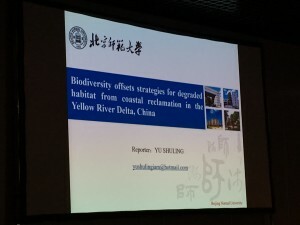 The model pro­posed is based on data col­lected by pre­vi­ous researches on the species diver­sity of mac­roben­thos in dif­fer­ent coastal recla­ma­tion types in Yel­low River Delta, China, which is the typ­i­cal tax­o­nomic group in coastal wet­lands. Within each study, cal­cu­lated val­ues for species diver­sity index (SD) for dif­fer­ent coastal recla­ma­tion types were com­pared with the nat­ural or close-to-natural state, taken as the ref­er­ence sit­u­a­tion. SD val­ues among dif­fer­ent coastal recla­ma­tion types were stan­dard­ized, and the SD losses were cal­cu­lated. Then degen­er­ated coastal wet­lands which have been bar­ren were cho­sen to restore or reha­bil­i­tate in-kind or out-of-kind to com­pen­sate the losses with the gains, and sim­u­lated the off­sets ratio under dif­fer­ent val­ues of coun­ter­fac­tual sce­nar­ios and dif­fer­ent SD gross quan­tity that would be pro­vided as the off­set to the dif­fer­ent coastal recla­ma­tion, time lags in real­iz­ing was taken into account. The pro­posed bio­di­ver­sity off­sets strate­gies for degraded habi­tat from coastal recla­ma­tion mainly focus on the min­i­mum off­set ratios, and the basic prop­er­ties of how, where and when. 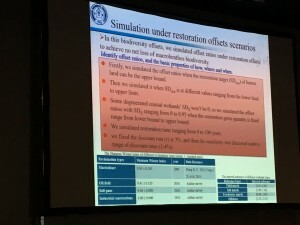 No net loss is likely to be fea­si­ble when the restora­tion off­set ratio is great than or equal to the cor­re­spond­ing off­set ratio. 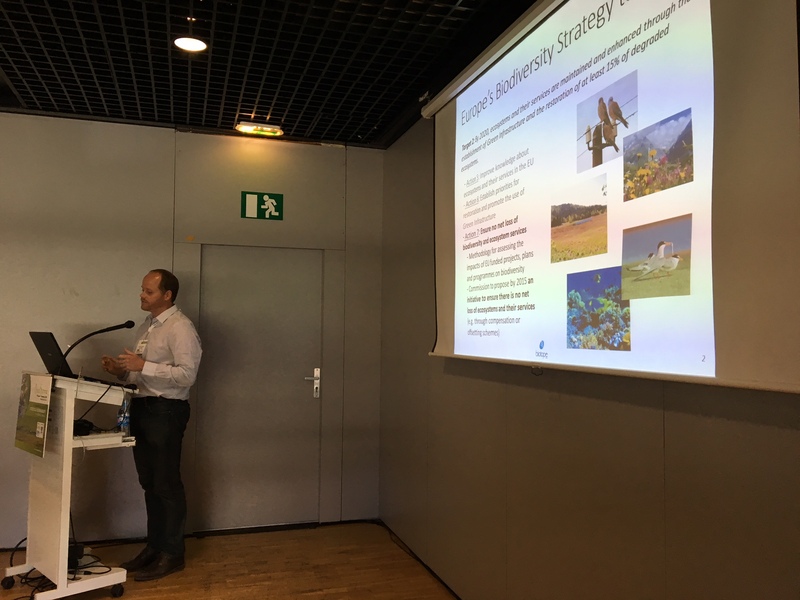 Our study has impor­tant impli­ca­tions for bio­di­ver­sity con­ser­va­tion and the eco­log­i­cal restora­tion of coastal wet­lands in face of the recla­ma­tion activities. The mit­i­ga­tion hier­ar­chy is increas­ingly used in envi­ron­men­tal poli­cies as a way to rec­on­cile eco­nomic devel­op­ment and bio­di­ver­sity con­ser­va­tion. 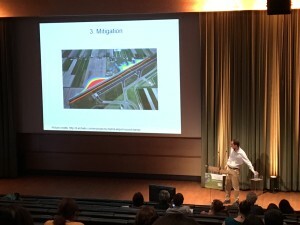 The prin­ci­ple of the mit­i­ga­tion hier­ar­chy con­sists in the avoid­ance, reduc­tion and off­set of envi­ron­men­tal impacts aris­ing from devel­op­ment projects by pro­vid­ing eco­log­i­cal gains through con­ser­va­tion or restora­tion actions. 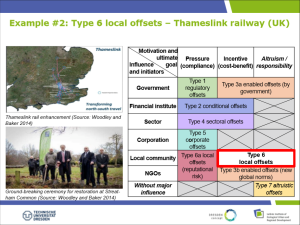 Most of the research on this sub­ject to date has focused on ter­res­trial ecosys­tems. 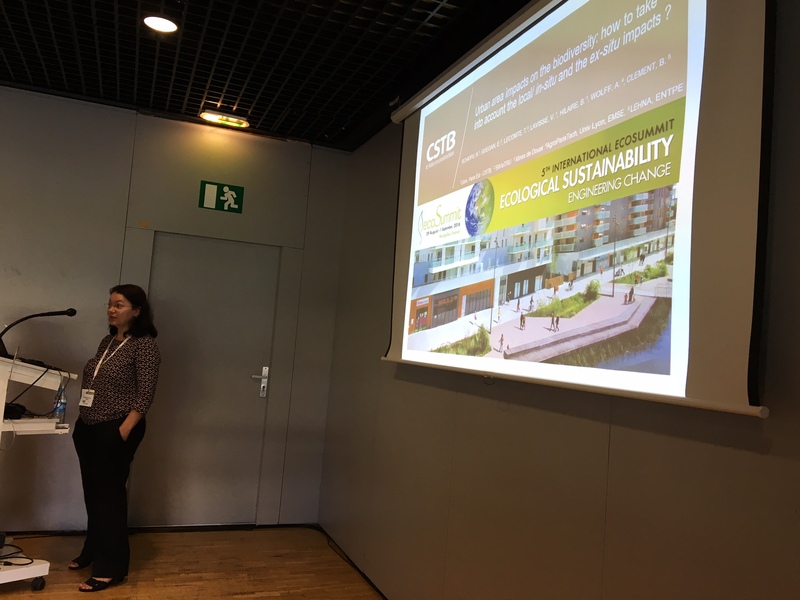 Here, we inves­ti­gate the rel­e­vance of eco­log­i­cal restora­tion (ER) and eco­log­i­cal engi­neer­ing (EE) approaches applied to var­i­ous marine ecosys­tems as com­po­nents of a mit­i­ga­tion strat­egy. 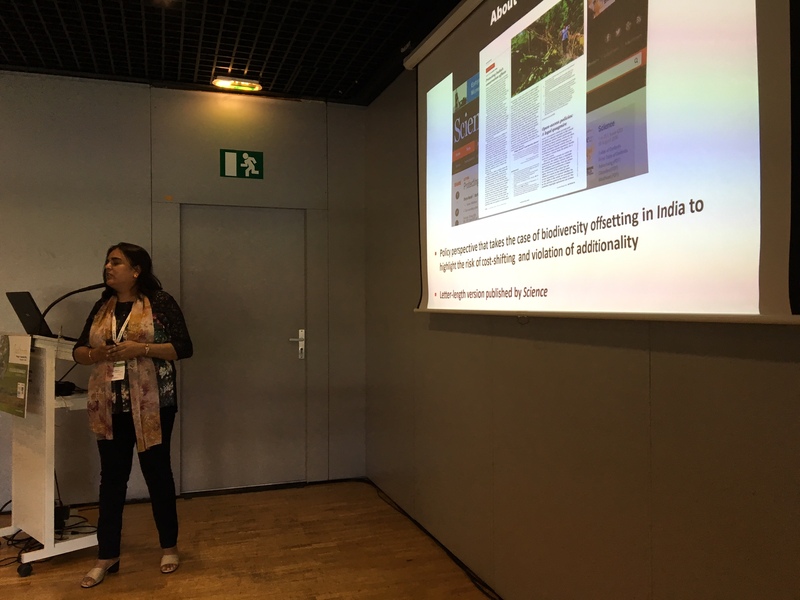 Through a lit­er­a­ture review of exist­ing ER and EE tech­niques for marine and coastal ecosys­tems (e.g., “green” marine con­struc­tion norms, biore­me­di­a­tion, restora­tion of sea­grass mead­ows, macro-algae beds, and coral reefs), and a dis­cus­sion of their effi­cacy and fea­si­bil­ity, we high­light the cur­rent lim­its and oppor­tu­ni­ties related to the imple­men­ta­tion of the mit­i­ga­tion hier­ar­chy within the marine envi­ron­ment. We dis­cuss the use of either ER or EE accord­ing to the level of equiv­a­lence being sought between the losses caused by a devel­op­ment project and the gains of the off­set mea­sure. We then pro­pose guide­lines for prac­ti­tion­ers to bet­ter dis­crim­i­nate between dif­fer­ent tech­niques accord­ing to the require­ments of the mit­i­ga­tion hier­ar­chy. This should help to clar­ify to what extent we have the capac­ity to mit­i­gate envi­ron­men­tal impacts of eco­nomic activ­i­ties on marine biodiversity. Impact assess­ment is the ‘the process of iden­ti­fy­ing the future con­se­quences of a cur­rent or pro­posed action’ (IAIA, 2009). At its heart, impact assess­ment aims to pro­vide infor­ma­tion for decision-making. Inte­gra­tive impact frame­works are being pro­posed to include the effects of devel­op­ment on ecosys­tem ser­vices and human well­be­ing, along with more tra­di­tional bio­di­ver­sity con­ser­va­tion issues. Recent research and prac­tice has shown the emerg­ing inter­est in this area, but also the many open chal­lenges. This pre­sen­ta­tion aims to pro­vide an overview research and prac­tice in the field of inte­grat­ing ecosys­tem ser­vices in impact assess­ment of projects, plans and poli­cies. 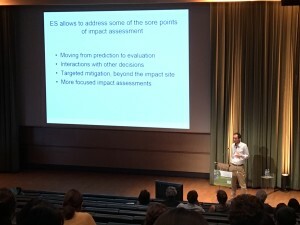 By mak­ing ref­er­ence to rel­e­vant case stud­ies, the pre­sen­ta­tion will describe how ecosys­tem ser­vices infor­ma­tion can be main­streamed in dif­fer­ent impact assess­ment types to improve their salience and effec­tive­ness. Finally, some of the issues and chal­lenges in con­tem­po­rary prac­tice and research will be discussed.